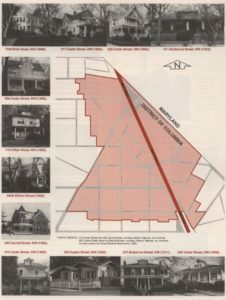 PoPville » The State of DC: Should Historic Districts Become History? 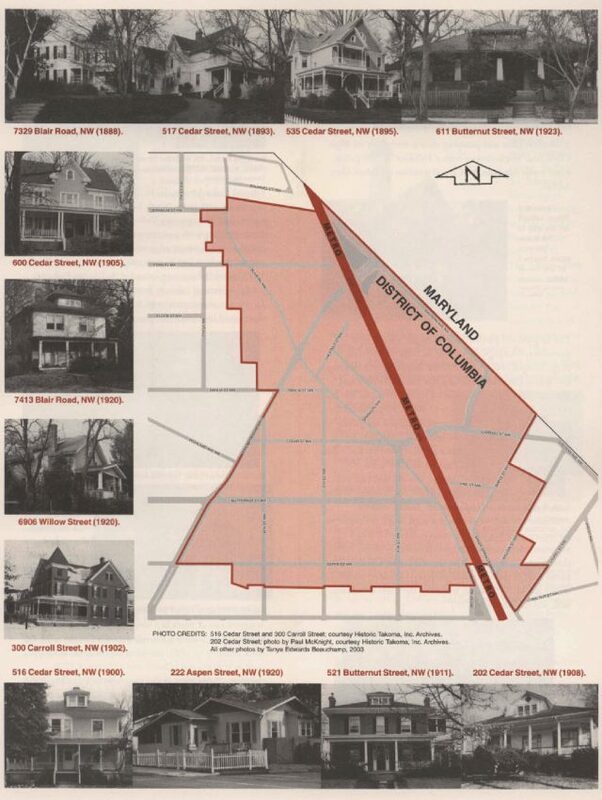 The State of DC: Should Historic Districts Become History? 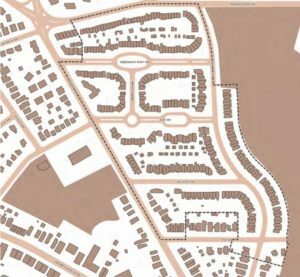 If you have been in DC for a few years we are sure you have read about some neighborhoods successfully creating historic districts (Emerald Street) or unsuccessfully (Kingman Park). According to DC there are more than 50 historic districts, monuments and sites around the city. Full disclosure, Colin lives in a historic district, but Chris does not; but we were interested in dipping our toe in this topic. There have been several articles and studies citing the costs associated with categorizing properties within one of these districts. One study states that it raises renovation expenses by 33 cents for every dollar spent. But what we were interested in reviewing was value. Does it pay to live in a historic district? There is a particular study out of California, which cites a 16% increase in value; but there is a significant difference in many of our historic districts as compared to this study’s subjects. Their laws appear to only impact individual properties and those properties may only maintain their historic status for 10 years before some type of action needs to be taken by the current owner. There are some properties like this in DC, but most of the historic district’s overlay on a stretch of properties and in some cases owners may not even realize their property resides in one of these areas until it comes time to renovate. 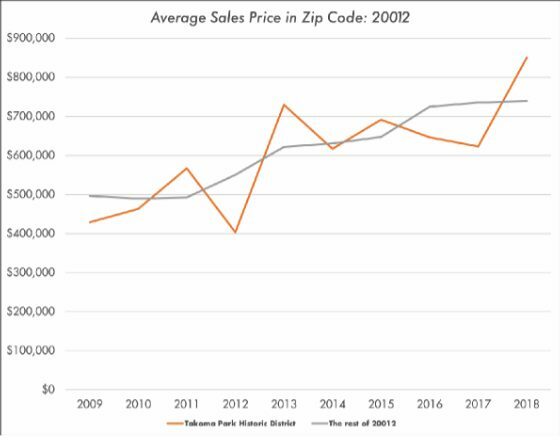 We decided to look at real estate sales over the past 10 years in 2 historic districts; Foxhall Village Historic District and Takoma Park, located in zip codes 20007 and 20012, respectively. We only considered attached and detached, fee simple properties, so no condos or coops. 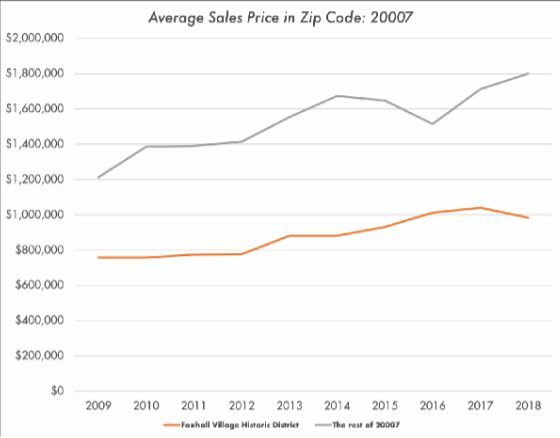 Properties in Foxhall Village Historic District appreciated at a slower rate than properties in the same zip code outside of the historic district (3.08% y.o.y. average vs. 4.73%). Curiously, the price per square foot is about $115 less when it’s within the historic district in the same zip code. 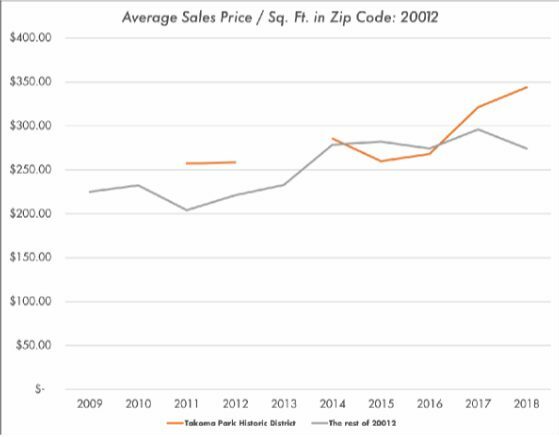 In the 20012 zip code, we see an opposite effect with homes having appreciated at a much higher pace inside the Takoma Park Historic District (11.71% y.o.y. average vs. 4.67%). 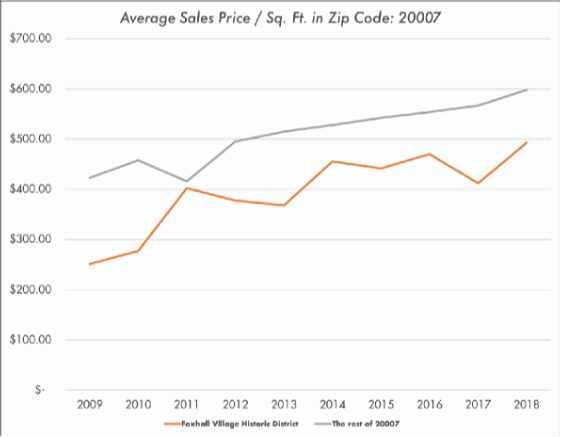 Prices per square foot also reflected greater value within the historic district by about $24 per square foot. 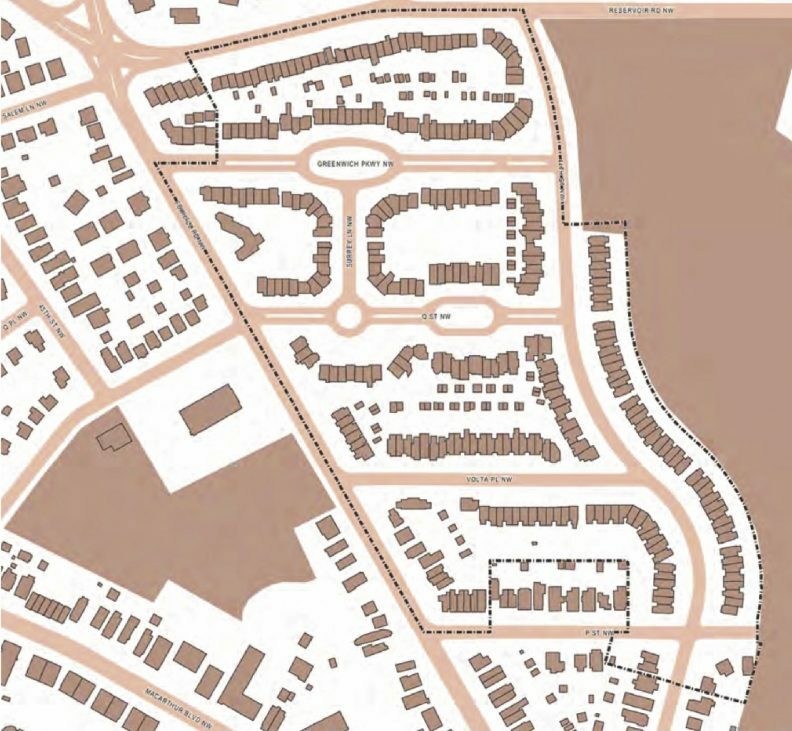 These are just 2 neighborhoods and certainly we have no recommendations as to whether an individual may choose to live in a historic district or not. As you can see by these two examples, there is no direct and automatic correlation in terms of appreciation or even property value. In our experience many consumers rarely ask about this as they often are searching to be in proximity of school, work or lifestyle amenities. However, if one is looking to conduct a renovation in one of these historic districts, consumers are often very conscious of the impacts that may happen in not only the costs, but on one’s ability to make certain alterations or not. It is worth noting that when looking at calculations done with square footage, the dataset we worked with was limited since only approximately 1 out of every 4 transaction records included total living area data.